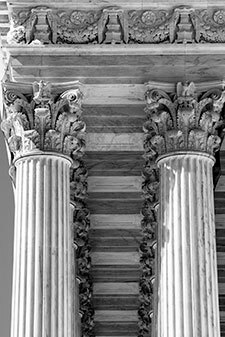 Today, the Supreme Court held 8-0 that the term “contracts of employment” in Section 1 of the Federal Arbitration Act (FAA) encompasses any agreement to perform work and does not exempt independent contractors. Background: Petitioner New Prime, Inc., is an interstate trucking company. Respondent was a truck driver for New Prime. He had an independent contractor agreement with New Prime that contained an arbitration provision. When Oliveira filed a lawsuit against New Prime, New Prime asked the court to stay the litigation and to compel arbitration under the FAA. But Oliveira responded that the FAA did not apply because Section 1 of the FAA exempts “contracts of employment” of any workers in interstate commerce. The district court and the First Circuit sided with Oliveira. Issues: The case presented two questions to the Supreme Court: (1) whether the threshold question about the applicability of the Section 1 exemption must be resolved by the arbitrator, rather than the court; and (2) whether the phrase “contracts of employment” in the Section 1 exemption is limited to contracts that establish an employer-employee relationship, rather than an independent-contractor relationship. Court’s Holding: The employer lost on both issues. The Supreme Court held that a court—and not an arbitrator—decides whether the FAA applies. And here, the FAA does not apply because the Section 1 exemption for “contracts of employment” refers to agreements to perform work, whether the person performing the work is an employee or independent contractor.